Were it not for J.D. Heyes’ Aug. 13th article for NaturalNews.com titled “Court forces chemo on eight-year-old Minnesota girl despite family’s desire to use alternative medicine,” and the CBS Minnesota article from Aug. 8th reporting on the matter, I would probably not be aware of this ongoing parental and human rights atrocity. As reported by CBS, a Twin Cities family’s 8-year-old daughter, Sarah, who had recently had 90 percent of a brain tumor surgically removed and was suffering from typical side effects from follow-up chemotherapy, such as nausea, sore throat, loss of weight and hair, was ordered by her doctors to continue for one more year of chemotherapy. Her parents, who wished to search out less toxic treatment alternatives, were contacted by child protective services when the child’s doctors determined her survival was being compromised each day she went without further chemotherapy treatment. 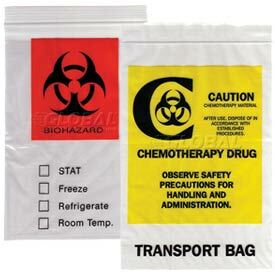 But What If Chemotherapy Is Not “Therapeutic” At All? I often look up commonly used chemoagents by their material data safety sheet (MSDS) to ascertain just how toxic they are, and what I invariably find is quite disturbing. 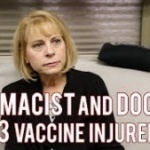 These MSDSs are federally mandated to be provided to the public by the manufacturers of chemicals and drugs to which the public will be exposed, either by accident or intention, e.g. prescribed chemicals. They contain toxicological risk assessments based on acute lethality in an animal model that reveal how dangerous these chemicals actually are. We know from these studies that chemotherapy drugs are acutely lethal to humans in the sub-gram dosage range and are often classified as carcinogenic. Tamoxifen, for instance, a first-line treatment for breast cancer for well over 40 years, is classified by the World Health Organization and American Cancer Society as a human carcinogen. Or, 5-fluorauracil, one of the world’s best-selling oncology drugs is so toxic that, based on its MSDS LD50 (lethal dose for 50% of test animals) rating, when administered at a dosage equivalent to the weight of 3 pennies (approximately 7.5 grams), is deadly enough to kill 50% of the adult humans given it, within one dose. Children are already uniquely susceptible to the genotoxicity of synthetic chemicals because of the relatively faster rate at which their cells replicate in the normal course of their fast-paced bodily development, as well as their less developed detoxification systems. Indeed, in a groundbreaking report released by the President’s Cancer Panel in 2010, in which our government agencies were indicted for “failing to carry out their responsibilities,” childhood cancers overall, especially childhood leukemia and brain cancer, were found to be increasing at an alarming rate relative to most types of cancers in adult populations. Chemical and radiation exposures are likely the primary reason for this observed discrepancy. This is why the use of conventional chemotherapy agents in children is so disturbing, since the very mechanism of action of most of these agents is to target cells that replicate faster, irrespective of whether they are malignant or benign. The collateral damage, in other words, is usually devastating, and cancer recurrence virtually guaranteed in a large number of cases not in spite of, but because of the treatment given. Keep in mind that tens of thousands of children diagnosed with cancer each year are being pressured into being “treated” with chemotherapy as their only alternative. It is one thing to be falsely marketed to, or having the science misrepresented, or being told by a doctor that if you do not choose to take this chemical you will die much sooner. It is another to be told that your very own flesh and blood – your children, for God’s sake – can be taken from you, because you did not want to see them poisoned to death for a condition like cancer, which is often caused by lifetime cumulative exposures to chemicals/poisons. This is why we have the medical ethical principle of informed consent. This is why human experimentation after the Second World War, and the horrors of the Nazi death camps, was explicitly rejected in the adoption of a medical ethical code that required voluntary consent before being subject to experimental drugs. Mind you, most oncologists and the manufacturers that peddle them have no idea what the chemotherapy agents they use are actually doing to their patient’s bodies — which is the very definition of experimental medicine, making informed consent impossible. In fact, much of the research available on the true nature of cancer, especially research on cancer stem cells, indicates that chemotherapy and radiation are not only are a miserable failure, but actually make the cancer far more malignant. 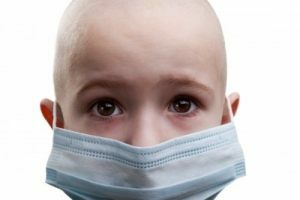 Pediatric cancer stem cells have recently been characterized as a key factor in chemoresistance and radioresistance, especially in brain cancers, the #1 form of childhood cancer. Who Owns Your Body, Your Child’s Body Really? Furthermore, who has, or should have, the ultimate authority in making these decisions about your child’s body? If it is not you – the parent – and it is the State, or a privatized medical establishment which is seamlessly intertwined with it, or multinational corporations who defraud the government and the medical institutions with check-book science for their patented, highly toxic nostrums, then are we not saying that our bodies, or our children’s bodies are not self-possessed? That they are property, merely chattel, as would be the technical definition of the bodies of slaves? Mandatory chemotherapy, from a human rights perspective, is no different from mandatory vaccination. The same pathological thinking, and denial of bodily self-possession is at play. What we are talking about here is a medical establishment that has far more to do with control of the populace than service to it. If any treatment becomes compulsory, and that treatment by its very nature violates every natural law within the human body, i.e. using poisonous chemicals to suppress symptoms of chemical poisoning, then we have entered a truly Orwellian phase where being sick is required of us, as well as to maintain our parental rights, or even to be a parent, lest the State tear our children away from us. I reject this implied reality. I encourage you to do the same. Coercing or forcing conventional chemotherapy on a child is abuse – nothing less. Until the profound density of evidence supporting natural treatments for cancer become mainstream knowledge, the pseudo-scientific medical dictatorship will continue to poison people to death while at the same moment claiming to save their lives. If this sounds radical or revolutionary, I assure you it is really simply a matter of observing and telling the truth.